Great people!!! Called them after I called some scam artists and they were there within an hour, had the keys reprogrammed and everything quick. Warned me that the other place I called were scammers and to be careful. Thank you for being good honest people and taking great care of us. As much as I don't want to have to ever use you again, you will be the ones I will call if I need to! THANK YOU!!! Very nice, friendly people and quick service. They made a key for my 08 Wrangler way cheaper than anyone else would. I would highly recommend them. Excellent job! Nice people and great service at a reasonable price. I emailed on a SUNDAY and didn't expect a reply until Monday at the soonest but Daniel replied a short time later the same day with the cost of the service I needed and instructions and details. I made an appointment for 11:00 a.m. Monday and Daniel was there at the new location at 8080 Ortonville Rd. and immediately took care of my lost key replacement and programming and was very informative. Thanks so much! 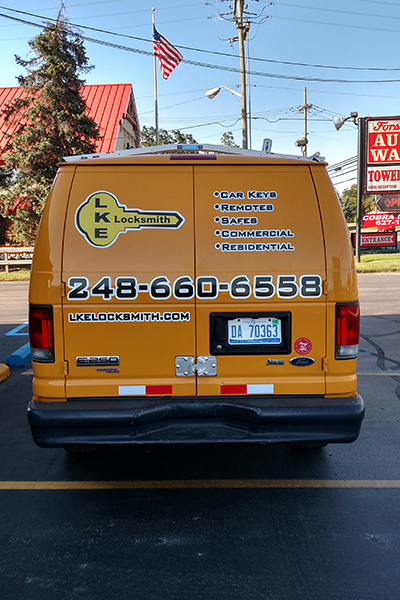 Quick and easy service, literally right to your car door. No hassles, no worries, honest and upfront about every service. Keys, doors, and just about any locks, besides handcuffs!